Shirts With Random Triangles: Vanderbilt QB Johnny McCrary Transferring. McCrary was the starting QB for the first six games of Vanderbilt's 2015 season, leading the Commodores to a disappointing 2-4 record. He was replaced by freshman Kyle Shurmur following the team's 19-10 loss to South Carolina on Oct. 17. Shurmur did no better going 2-4 in the last half of the season. 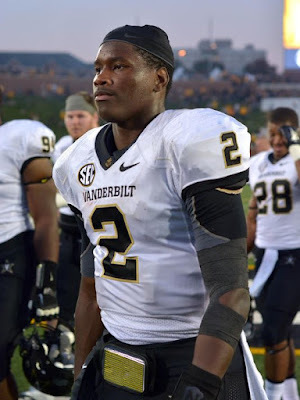 McCrary will graduate from Vanderbilt in the Spring of 2016. He will be eligible to play in the 2016 college football season as a graduate transfer.